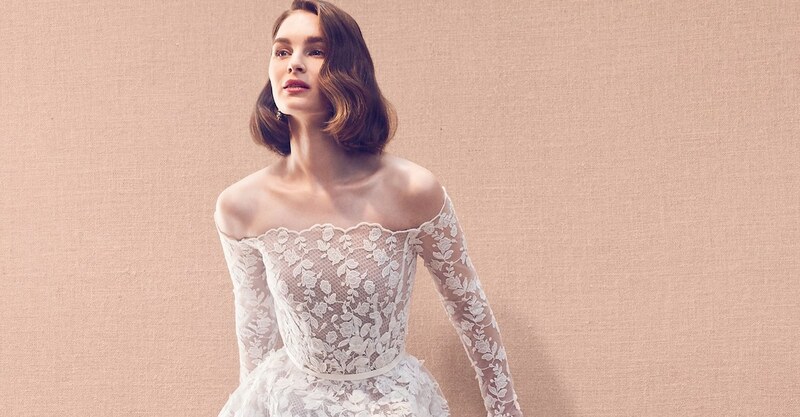 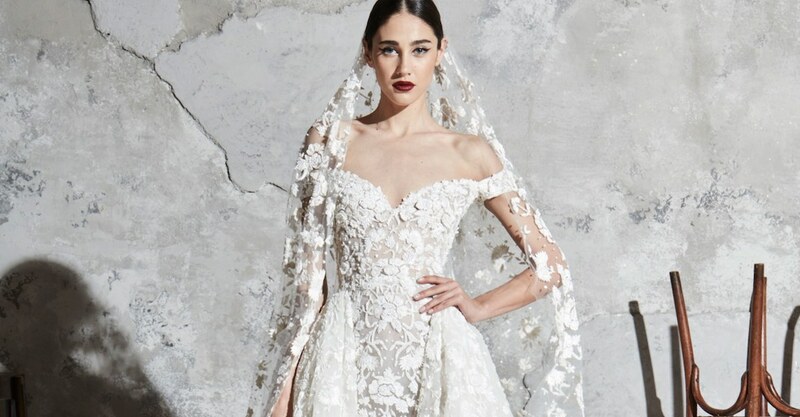 If you love unmatched luxury in evening wear, the Ziad Nakad Spring/Summer 2019 is sure to delight you. 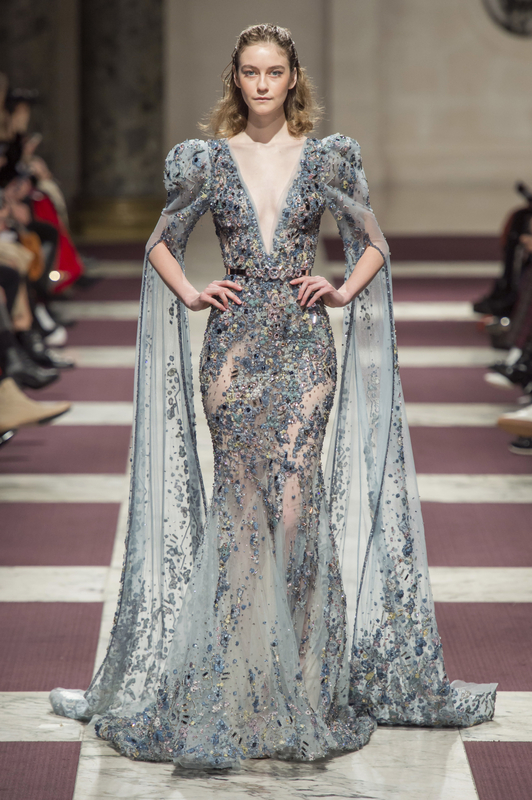 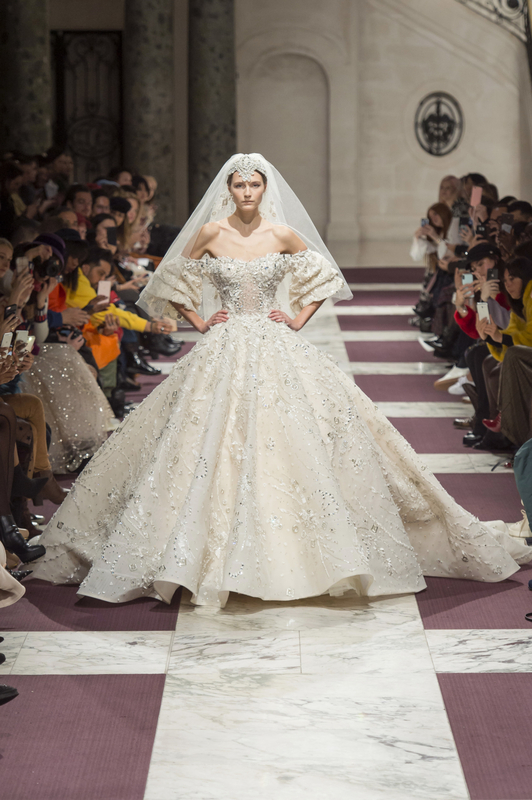 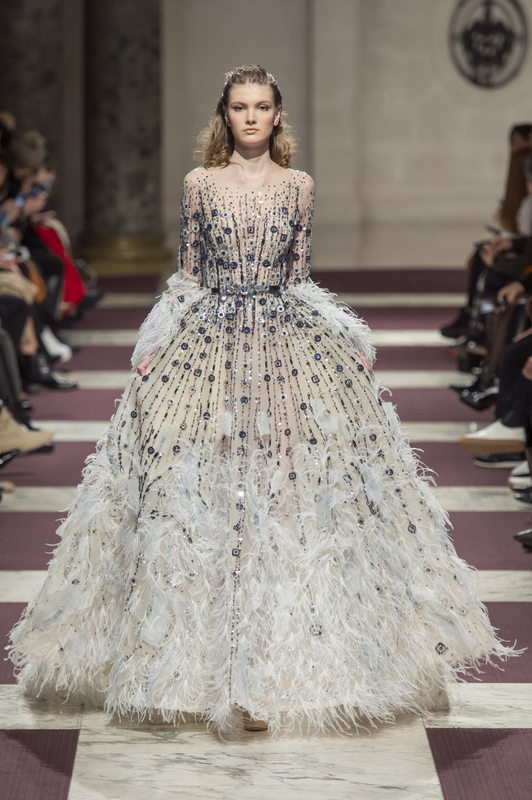 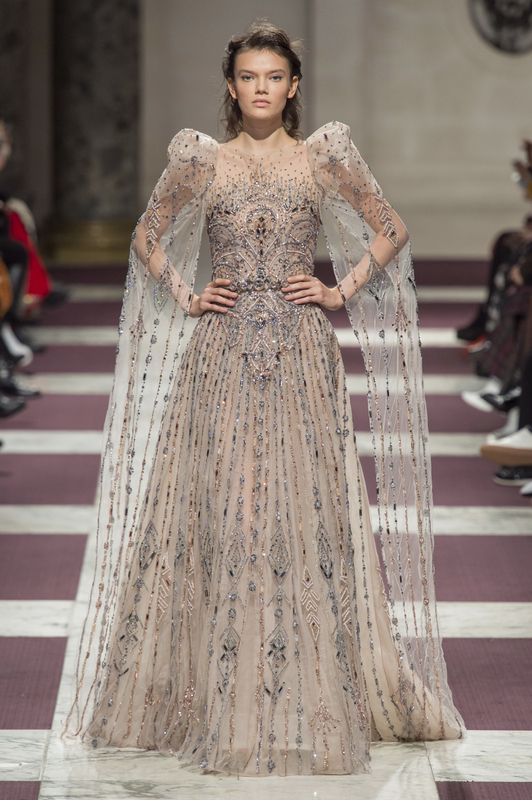 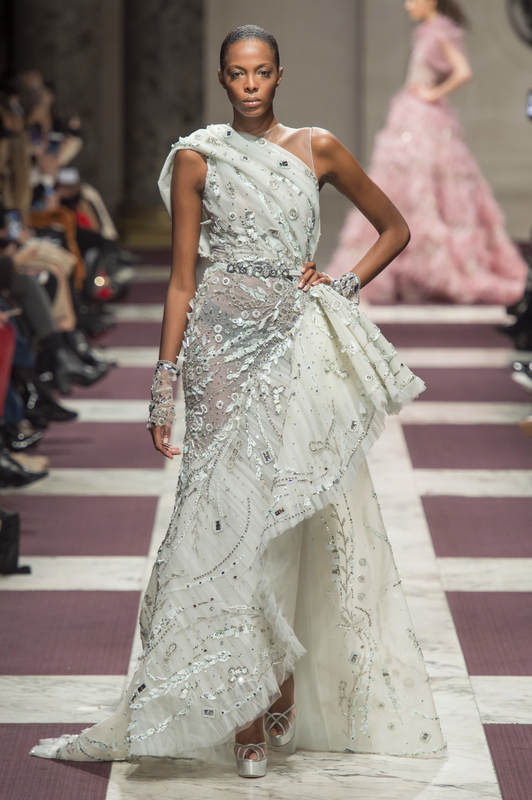 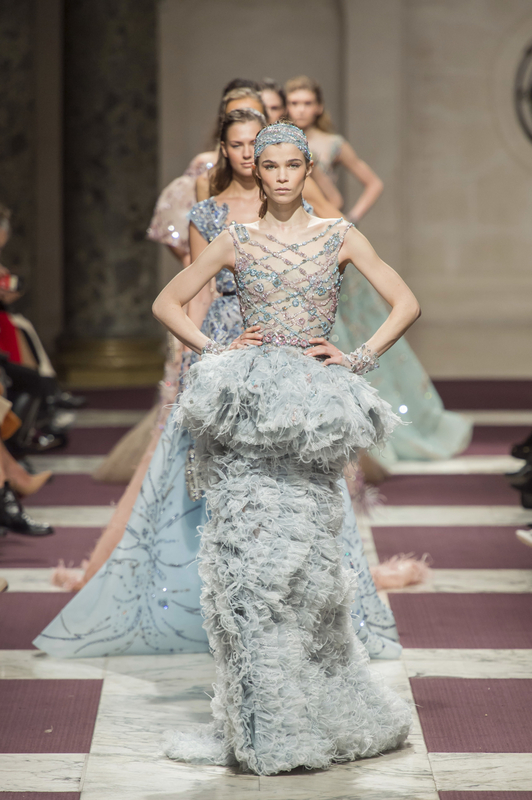 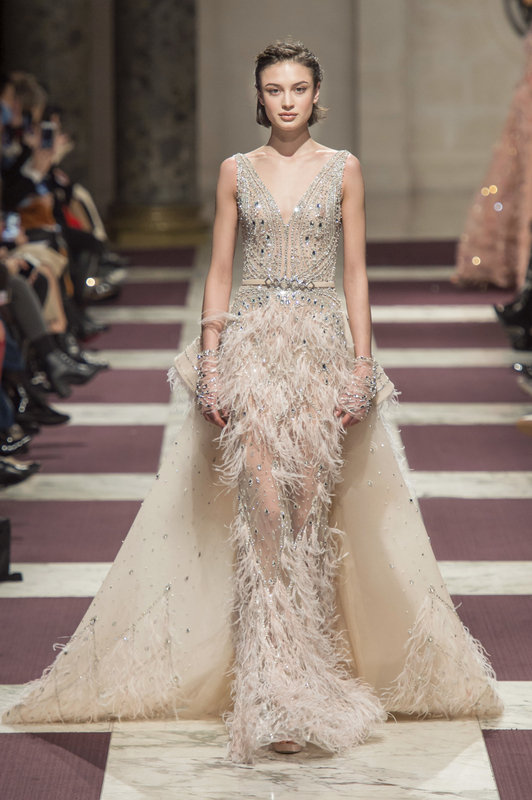 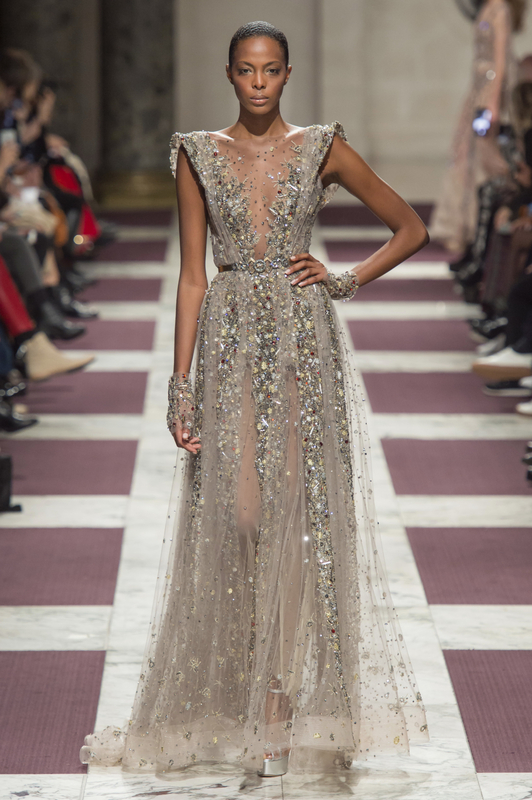 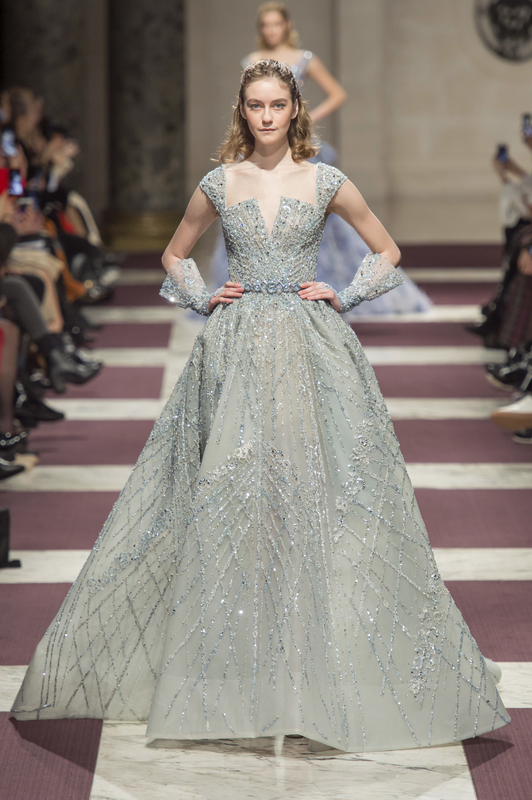 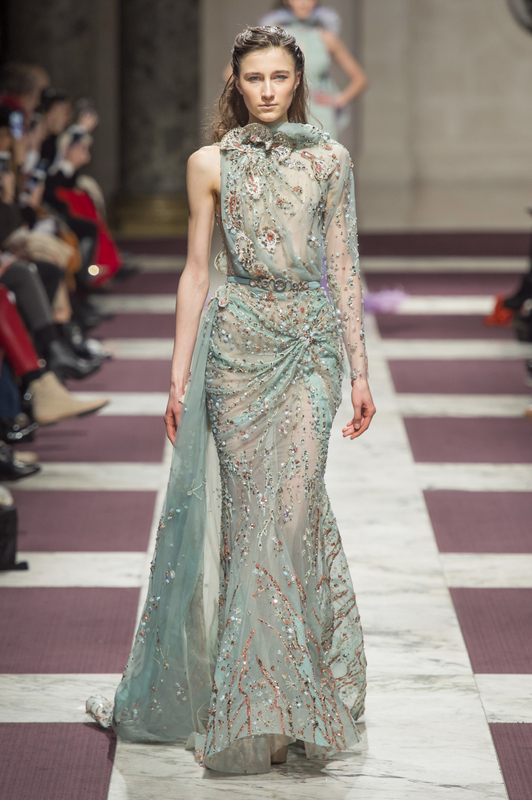 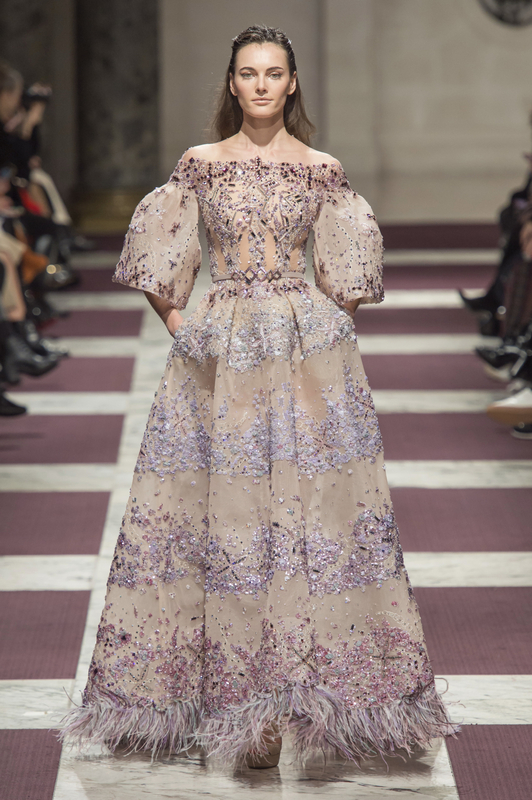 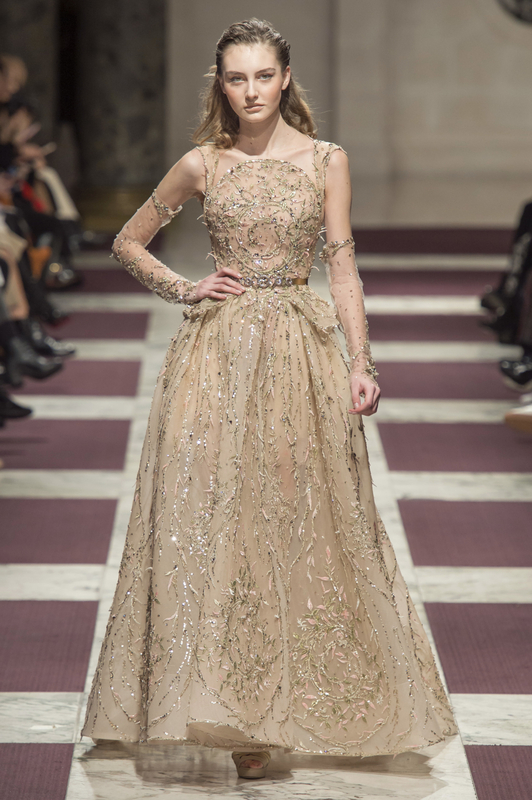 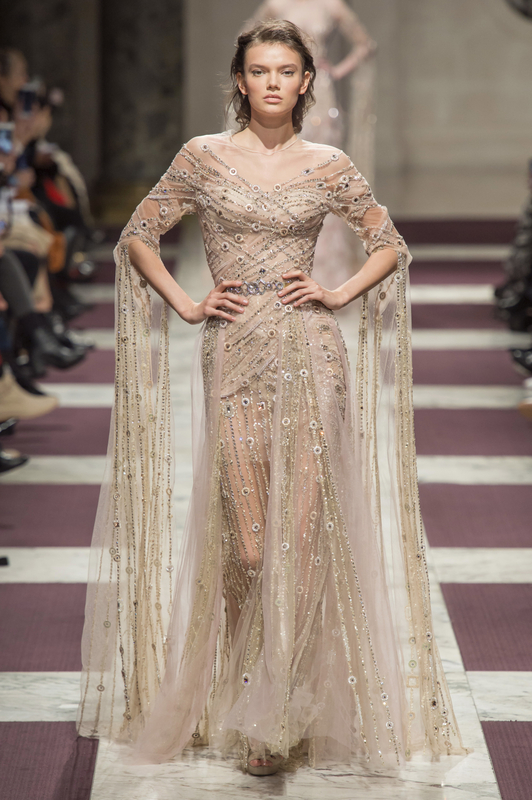 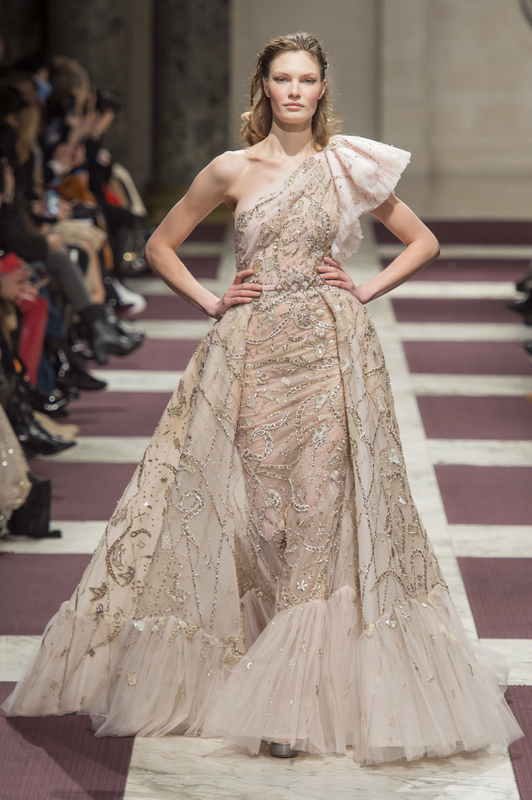 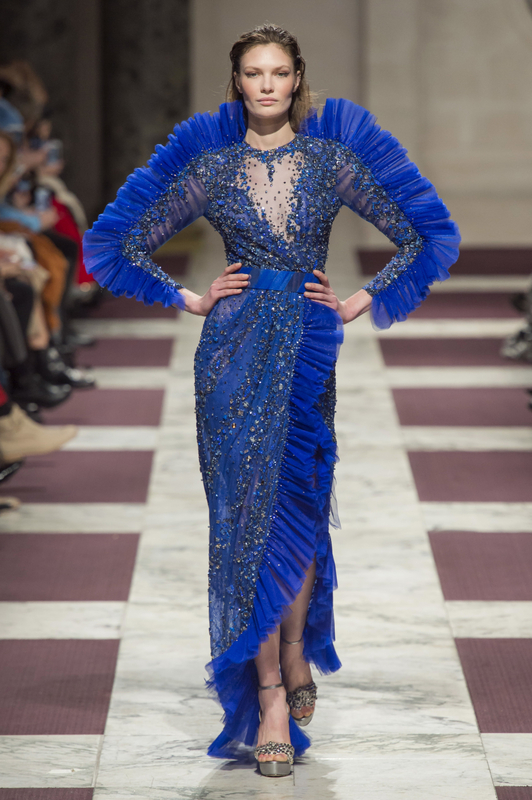 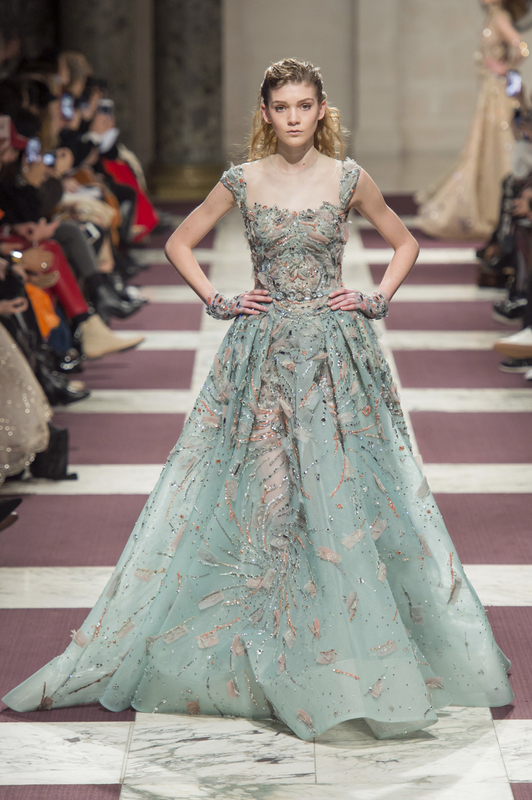 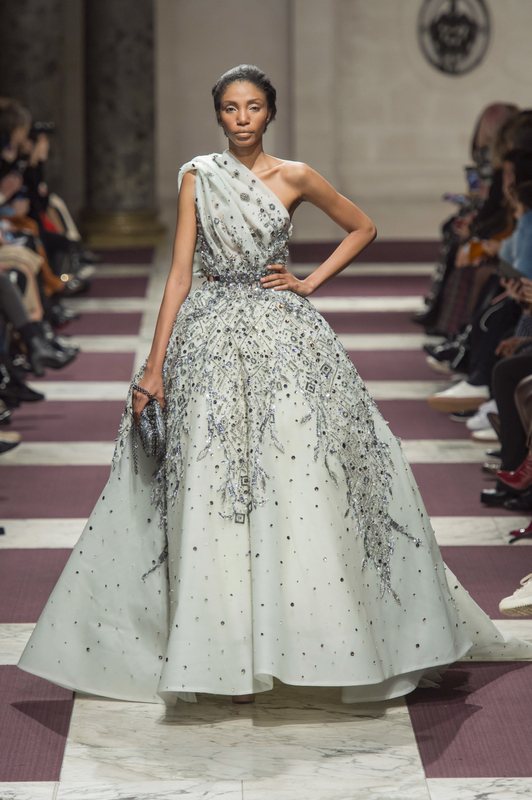 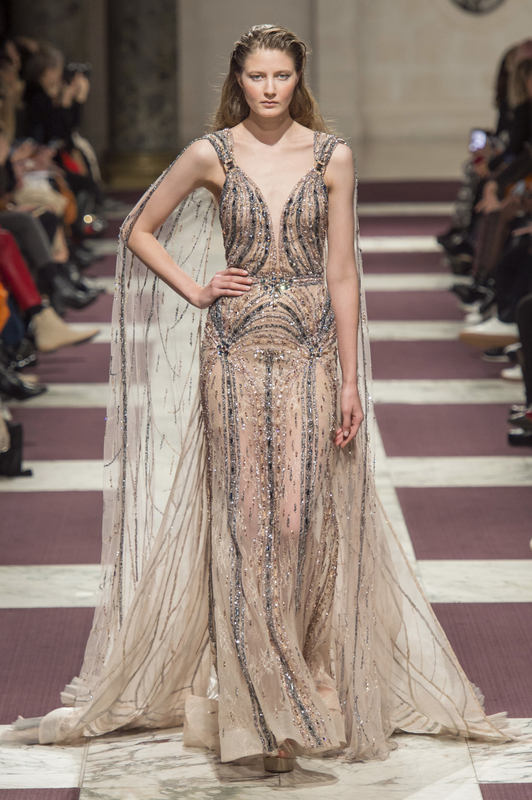 The designer presented the “Orion” collection at Haute Couture Paris Fashion Week in France this season – and the range is filled with beautiful gowns that are as perfect for celebrity-studded red carpet events as they are for bridal looks and glamorous evening styles. 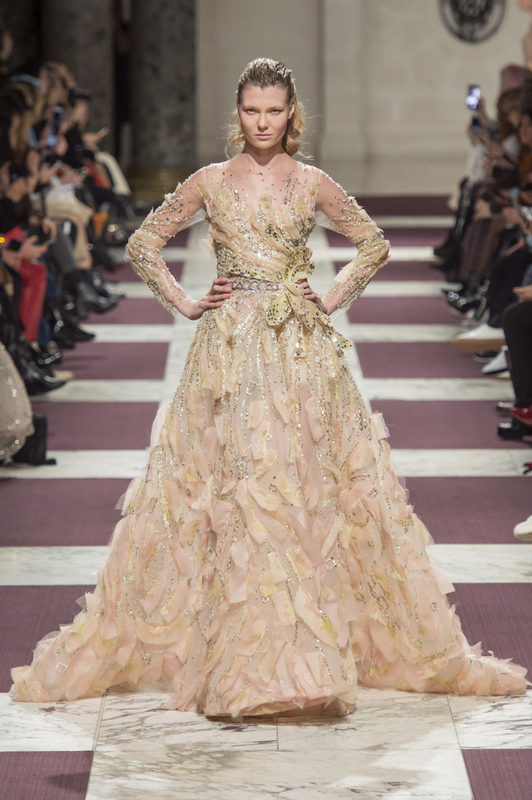 As part of the Orion collection, you will see a strong focus on pastel colors, with champagne, silver, and black added in to the mix. 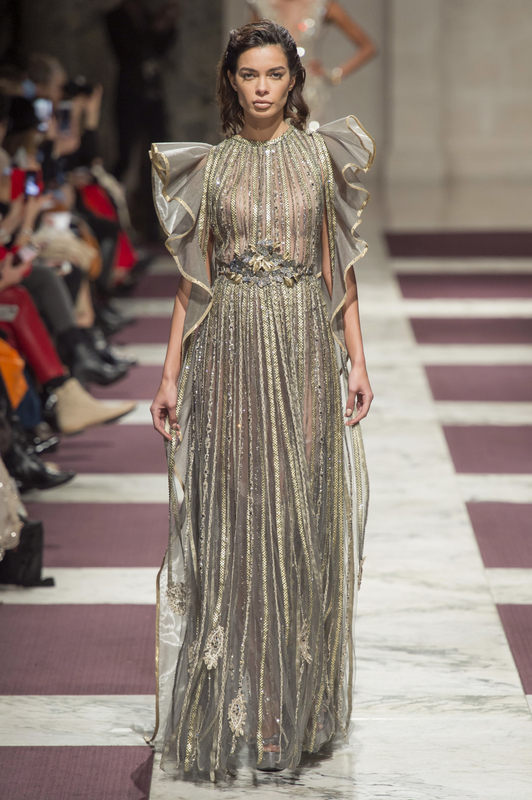 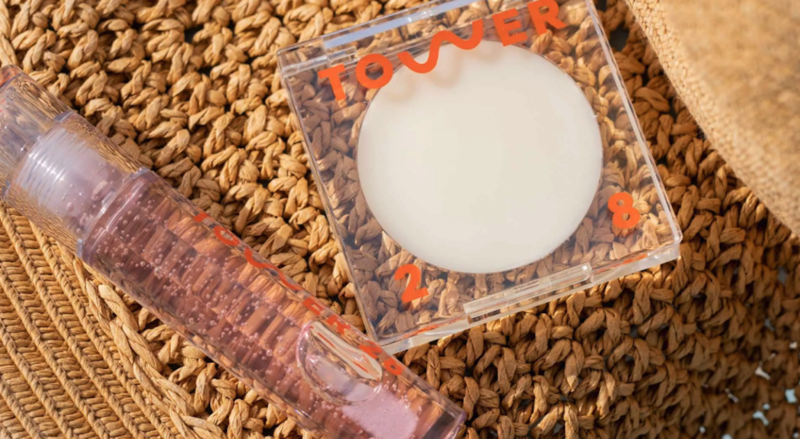 There is also a distinctly vintage theme running through the line, making many of the range’s pieces feel fit for royalty of ages past. 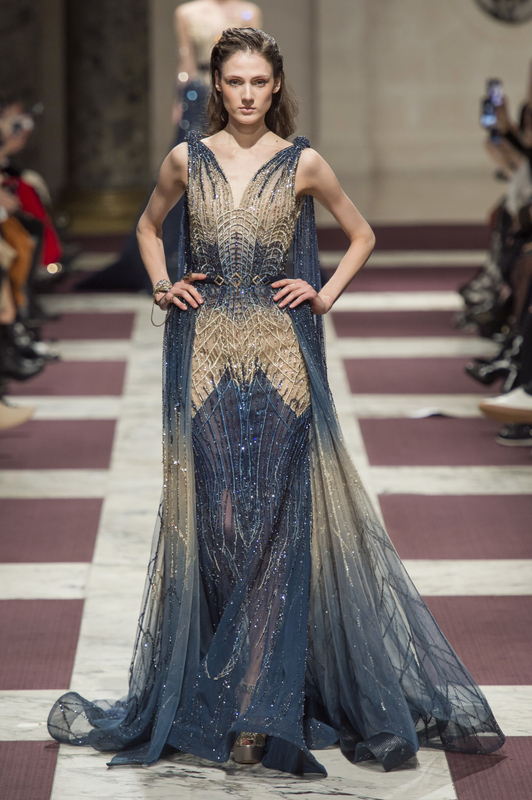 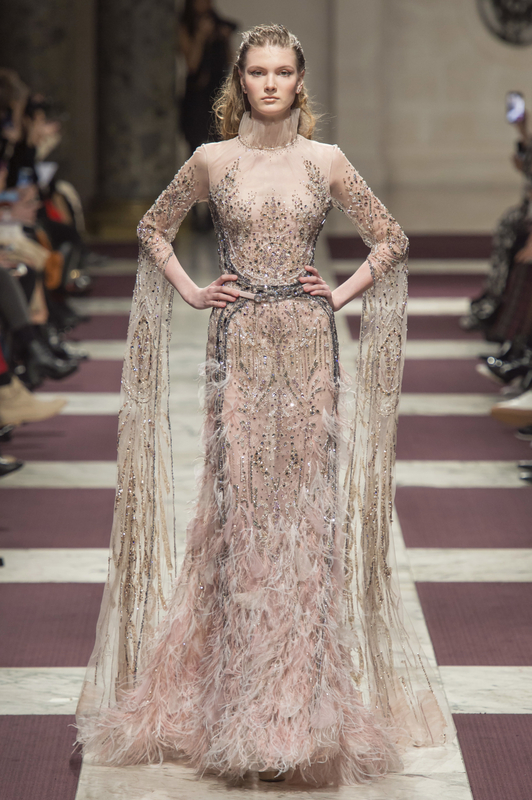 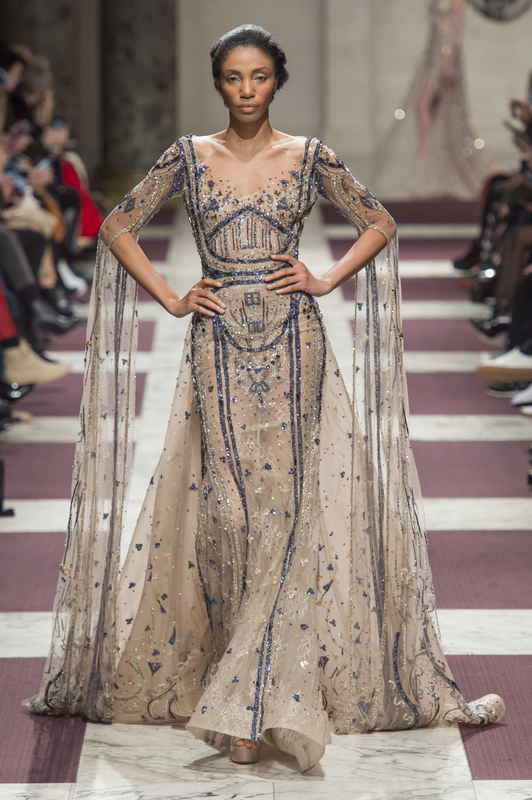 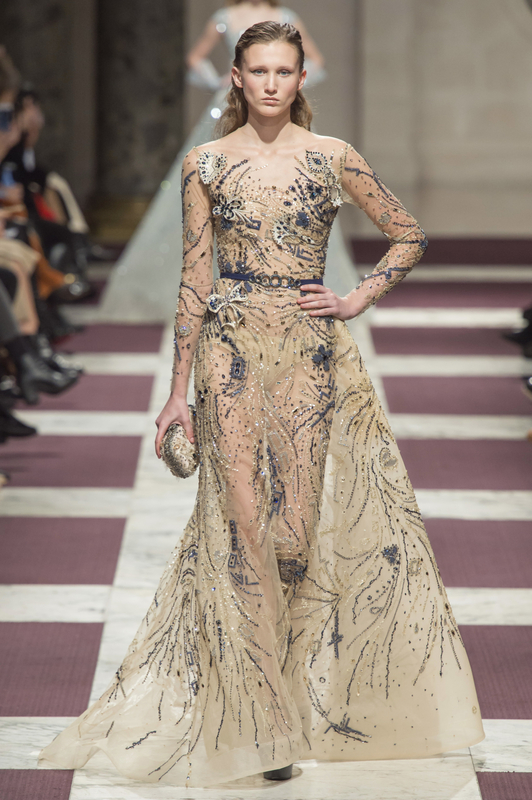 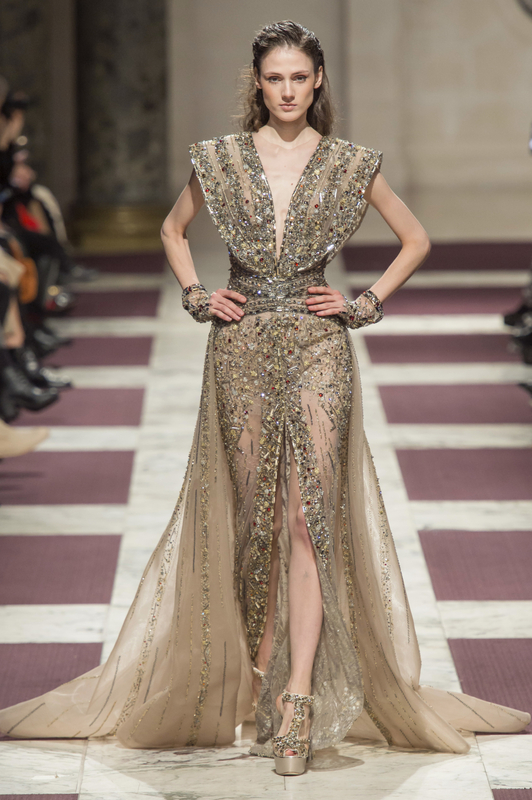 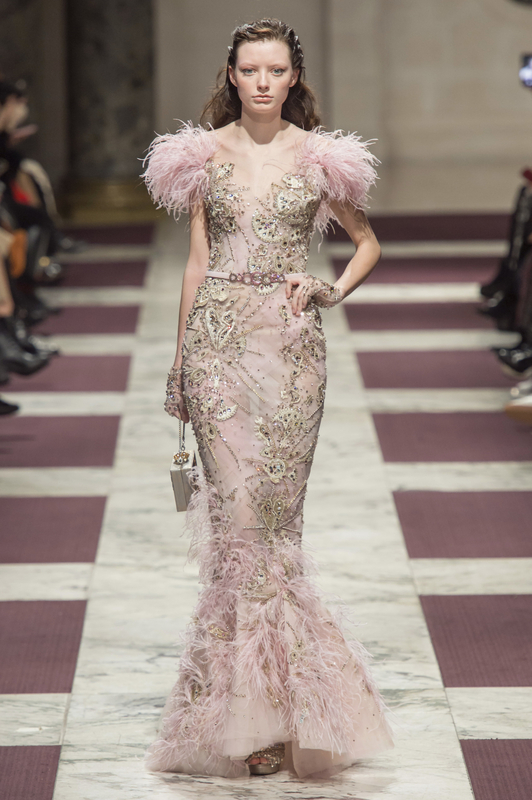 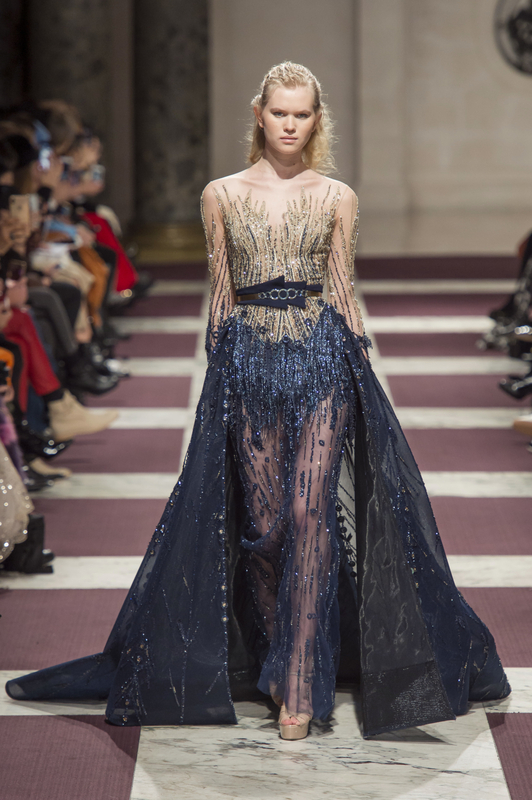 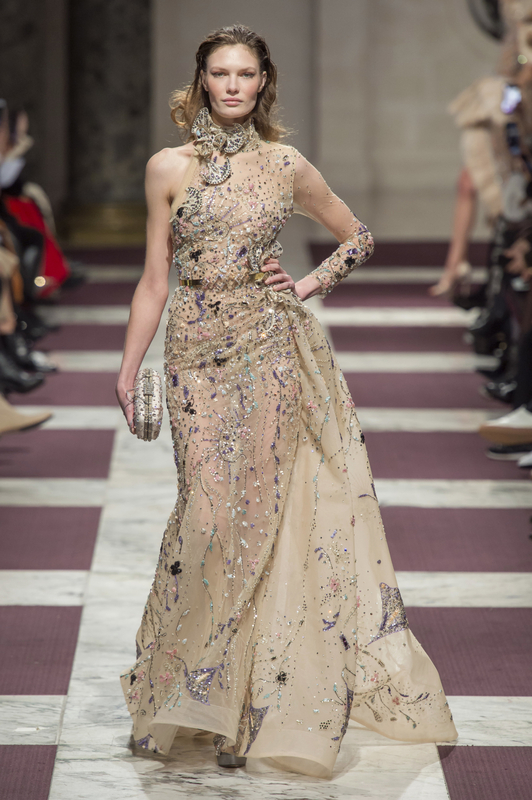 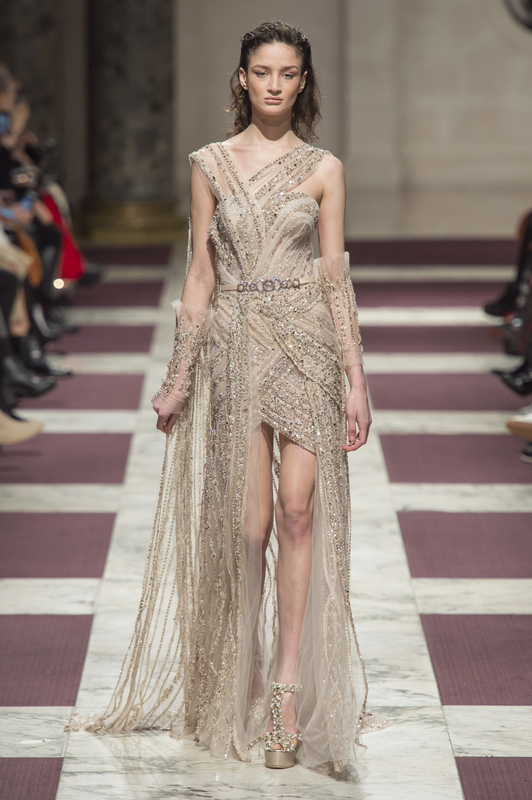 With intricate stone beading and extravagant cuts, the collection is all about extravagance and drama. 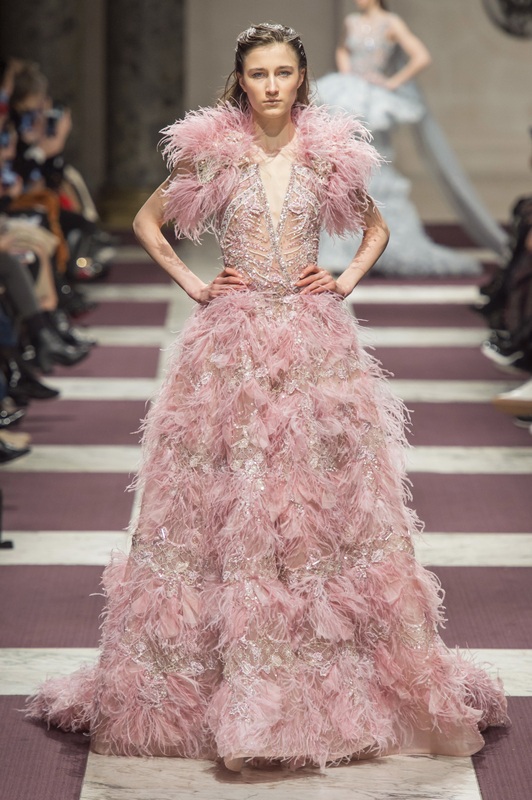 Click through the gallery below to view photos from the Ziad Nakad Spring/Summer 2019 runway presentation at Haute Couture Paris Fashion Week. 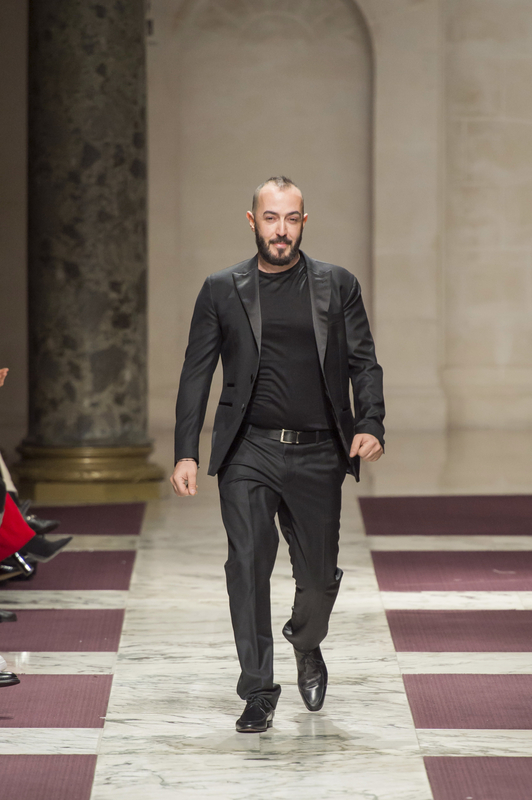 More news from the Ziad Nakad brand. 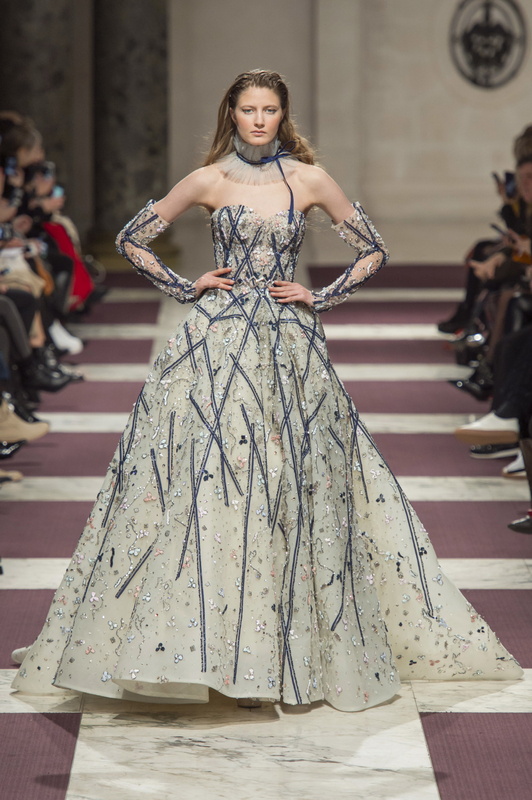 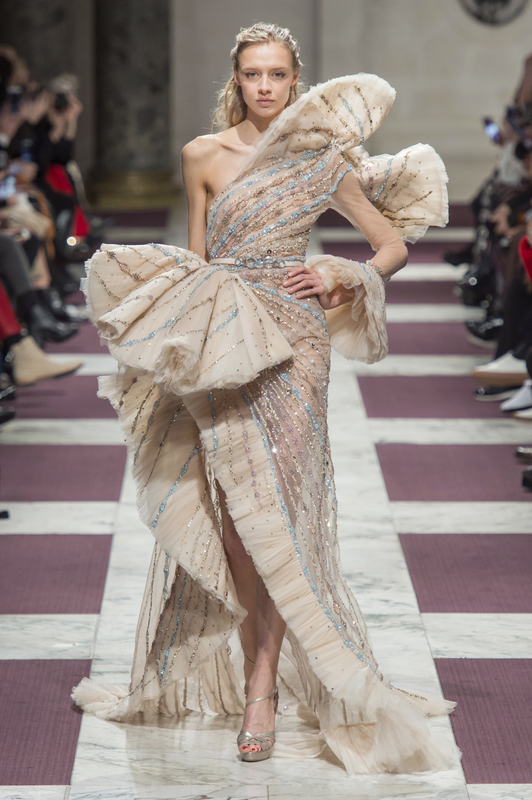 More designers’ Haute Couture Paris Fashion Week presentations.